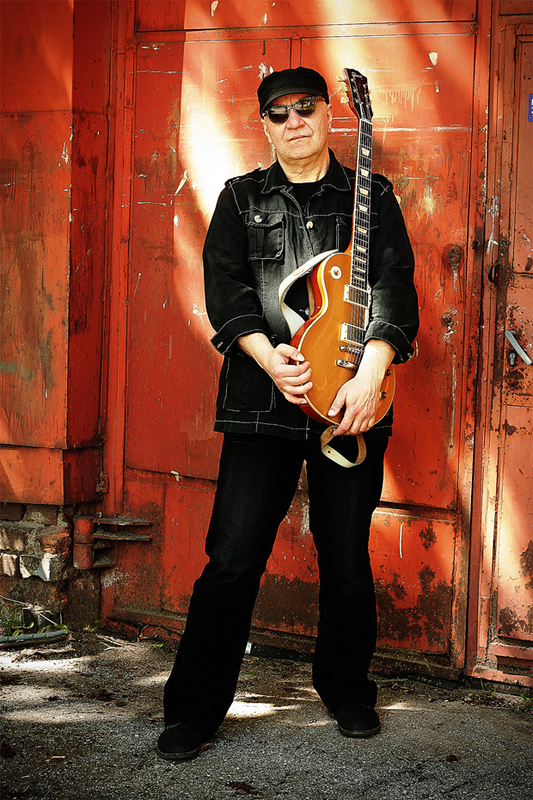 Estonian guitarist Kalle Vilpuu has worked on over twenty studio releases since the late 80′s, whether as a guest contributor or a solo artist. Since 1991 he plays with a rock band Ultima Thule, a name that is well known on the international music scene. He has also worked with Marju Länik’s band, Saxappeal Band, Gunnar Graps Magnetic Band, Pantokraator, Data, Underwater, Kuller, and more. Last year he released an album “Silver Lining,” comprised of eleven songs. Prog Sphere talked with Kalle about his musical beginnings, the mentioned album, inspiration, and more. Tell us something about your musical beginnings. In 1983, I went to study classical guitar at the Georg Ots Tallinn Music School, all the while feeling a growing interest in rock music. Half way through my studies I switched from classical to electric guitar and continued to pursue my musical education in the jazz and pop music department. You released “Silver Lining” last year. Tell me about the creative process that informed the record. The tracks come to be in different ways. Some are born during studio jam sessions, some I hear in my head, sometimes I get a conceptual idea I need to control, and when I’m happy with the result then I finalize the idea so to speak. That is it in short. Recording techniques are simple. Because, as a guitar player, I record guitars, keyboards and loops/samples in my home studio, I generally go for the analogue principle. I love tube amps. One persistent element is that I generally play solos with amp distortion, while occasionally it is still necessary to use stomps. I don’t like to play straight into the console. It is easy to document it with the help of my silicone friend at my tiny home studio. How long “Silver Lining” was in the making? Tell me about the themes this release captures. What’s the meaning behind the album’s name? SL took me roughly five years, including pauses when I got fed up or shelved some of the material to give it time to sink in so to speak. I set no deadlines for myself. I only knew that the album would be ready only once I was 90 percent happy with the result, because there is no such thing as 100 percent perfection in art, you can keep polishing your piece forever. At one point you have to sense it is time to let the material go, so it could start leading its own life. The opening track I completed last, when the rest of the material was already finished. The idea of sending my guitar flying into a black hole with feedback I had had for some time – the question was how to do it. I knew the intro had to be exciting, and experimenting with different textures it seemed to me that venturing into esoterics was the way to go in terms of the whole. Unforgiven carries a sad undertone and goes through mistakes made by loved ones I could not forgive. In this track I used my favorite principle of antagonism so to speak – a soft melody built on a harsh foundation. For that purpose I went with the flute, followed by a lengthy guitar solo. Meaning „personal“ in Latin. This track I heard in my head. The idea first came from the violin intro, followed by a female voice vocals and ending in a guitar solo to once again frame the violin. A lot of people regard it as the most sensitive and generally best track on SL. Yes, in a sense. The title says it all. I jump-started an apparatus of industrial elements. It came to me when I was working on this track that having background visuals would give the music depth and threedimensionality. I would borrow Lucas Biela’s (Progsphere) metaphor here: “Within the context of threatening guitar-drum assaults“. There is nothing complicated about this track, it came about easily. I used different composition techniques in terms of harmony. It is the most forceful track emotionally that allowed me to philosophize on the guitar during a long solo and band dynamics falling into the background only to come back on full revs after it! Another foray into esoterica and mysticism. Are there aliens out there? I rather think yes! That is the only track on the album critics have not been able to decipher. It is the Garden of Eden, a story of the temptations of sin. It became a symbiosis of ambient thinking and industrial that makes for an interesting combination. The most tender track of the album. Here I gave free reign to the fantastic Mari Jürjens (Pokinen) in terms of vocalise. The guitars are deliberately mixed into the background to focus on the tender and beautiful female voice, all in the interests of a good musical whole. The touch of an angel, guardian angel, that I’ve felt so many times in my life. It is good to be protected and safe! A personal ballad for the guitar and viola da gamba (thanks to Imre Eenma) dedicated to my dear daughter. Is the twin or doppelganger of Unforgiven. I used the repetition principle with this song, as can be found on various albums – playing the same track twice in different garments so to speak because everything was not said in Unforgiven and because the depth of the topic allowed it. By the time this track was completed I had changed my emotional state and my inner mind and Unforgiven became Forgiven. What is music if not a reflection of the lives we lead. Title track and also the closing track. Once more we have a little mysticism, atmospheric reflections with a hint of modernism. It somehow seemed as a fitting closing track, I also allowed myself a little irony towards the end there. The record ends with dead air from a derelict space station. It is for me the most thoughtful track on SL, and philosophizing over eternity is the right thing to do at the end, you have to close your story. So much for the tracks. As for the album’s title, for me SL is a reference to eternity, the universe as well as a bow to loved ones who have left this world. I’m glad to use the words others have said here. Silver Lining could be described as a postcard from heaven that bears different musical atmospheres, moving through industrial rock, folk and back to industrial prog metal that allows the opportunity to demonstrate often magical symphonic beauty – Adrian Stork, Musicwaves. The answer here is short and confident. A musical whole both dynamically and musically so that people would find it interesting to listen to. The core of SL is made up of guitar, bass (Henno Kelp) and drums (Andrus Lillepea). The aforementioned gentlemen and I have played together so often that making it all come together was no problem whatsoever. Some things that required to be composed from start to finish were left as they were, while generally I gave the gentlemen free reign, and I wanted them to shine as well. They are very talented musicians well versed in the context of rock music. Thank you bros! Other musicians were melted into the mix in the studio, and it wasn’t very difficult as they are all professionals. A bow to you, too! Creative work is about discovering something new all the time, while the most important thing is perhaps what is hidden behind the notes. At times you can say things on a very deep level in music. Music is a language of secret codes! What you said about drastic change is a very interesting observation! I did feel during Trappings that I must slow it down in terms of the whole. The resulting turn towards etherealness and lightness was intended, so that people would find it easier to accept as the material carries a somewhat darker subtext. It seems critics have not held it against me. I more or less answered that question before – I know Henno and Andrus for such a long time that I do not need to explain things to them. They feel and understand me as I them. Inspiration comes from everywhere – from the people I play with, fantastic records of which there is luckily never a shortage, urban subculture, nature, the universe etc. How do I channel it? Our brains store and then remember things at the right time, then you just mix them with your emotional state, feeling, intuition. There are a lot – a great many. But I’m happy to repeat perhaps the most important influences that I’ve also mentioned in other interviews: “Yes”, “Genesis”, “Camel”, “Pink Floyd”, “Led Zeppelin”, “Black Sabbath”, “Van Halen”. Grunge and Seattle Rock scene, “Slayer”, “Pantera” “Sepultura”, “The Finn´s Havana Black” and “HIM”. I am generally, or so it seems to me, someone who dwells deep in contemplation, trying to understand the world around us, as are we all. There is a lot of mystery and mysticism surrounding our lives, just as there are a host of questions we still cannot answer or never will. But people’s sensitivity, pain threshold and perception of the world is different, and it is a fantastic thing. What kind of gear did you use for recording songs from “Silver Lining”? Guitars through tube amps, using a guitar rig + synthesizers, loops, samples I made at home. Other instruments were recorded at Angela Aak’s Ingelstuudio. I’m all for it. I’ve always loved tinkering with colors of sound and various nuances. An exciting field for me! I suppose it could, sure. The plans are ongoing, to make music, give concerts, go to rehearsal. I want to give an SL solo concert with 11 background visuals that have already been completed and that are waiting their time, work on my next solo album etc. 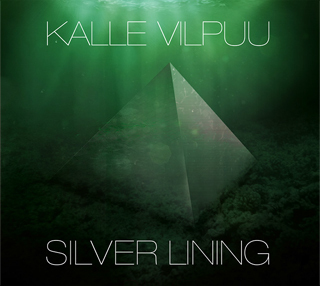 Buy Kalle Vilpuu’s “Silver Lining” here. Follow the artist on Facebook.